Grabbing a latte at the coffeehouse near High Point Town Center in Prattville, Alabama, I overheard the friendly conversation of the two ladies in line in front of me. Tossing ideas back and forth, their intent was to compile a welcome basket for the new family moving into their neighborhood. Their polite exchange was a reminder of the good-natured people of “The Cotton State” of Alabama. Following this example of a cordial hometown vibe, tour along with me while I showcase idyllic homes for sale on MilitaryByOwner near Montgomery and Maxwell Air Force Base Gunter Annex. 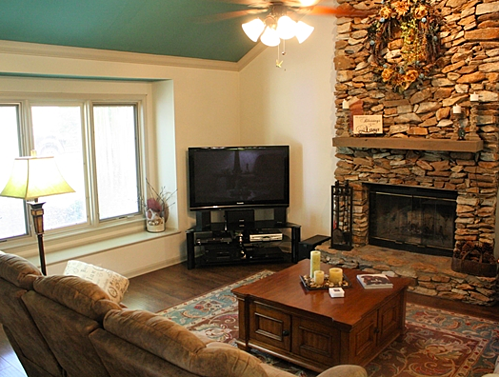 Gather the family by this fantastic fireplace! Reminiscent of a grand mountain lodge, a remarkable river stone fireplace is the focal point of the family room. This handsome hearth creates the perfect backdrop for family photo opportunities. Lingering with dear ones in this warm and inviting space, you’ll savor spending quality time together. With four roomy bedrooms, each child in a busy military family can claim their own personal space. Additionally, a lavish master bedroom retreat is reserved for the devoted parents of the bunch. Add in 2½ baths over the 3-floor layout, and this nearly 2,600-square-foot house is the perfect fit for the whole tribe to feel right at home. 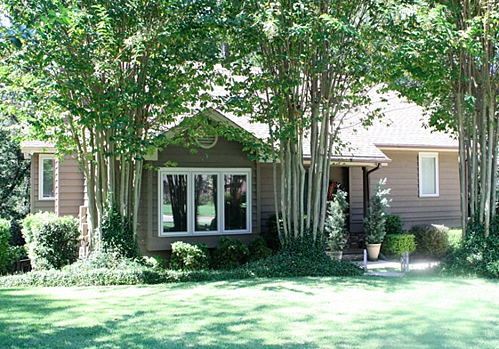 Nestled on an oversized lot, the lush landscaping backs to the private Pine Creek woods. 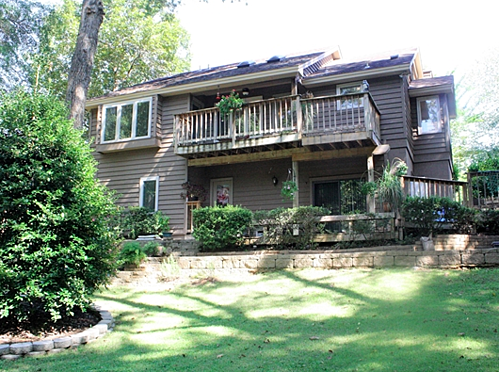 Embrace the serenity of nature from your choice of ample deck and patio spaces. An added amenity to this abode is an outbuilding for a work space or additional storage. “Light and bright” is a fitting description, thanks to the cheerful sunbeams through top of the line windows. 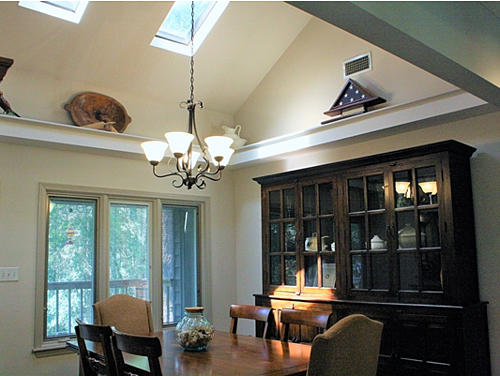 Soaring skylights add additional appeal to this dynamic dining room adjacent to the sunlit kitchen. Sensational slate, opulent tile, and indulgent wood floors flow throughout the layout of this multi-level manor. From this address, the commute will be around 15 miles to Maxwell Air Force Base Gunter Annex and 9 miles to the amenities at Maxwell Air Force Base proper. When venturing out towards Gunter Annex, you could drop off your service member at work and then take your batch of silly monkeys on a tour of the Montgomery Zoo. 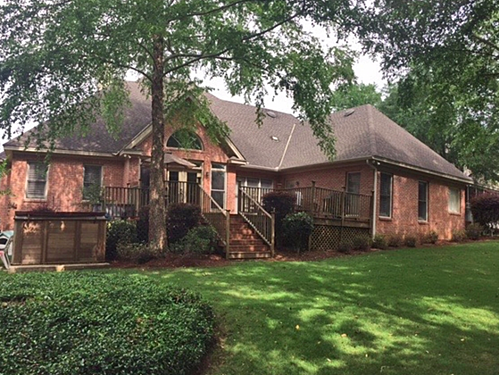 Family-friendly activities abound within an easy drive from this Prattville property. Delight in natural light with this superb sun room! An alluring sun room off the main floor entices you to wander towards the windows for a view of the meticulously maintained backyard, deck, and patio. Begin your day by watching birds frolic in the morning dew from this pleasing enclosed porch. The atmosphere of this sun drenched alcove encourages you to grab a good book or recline for a restful nap. Imagine a daily commute that doesn’t have you sitting in long lines of traffic! 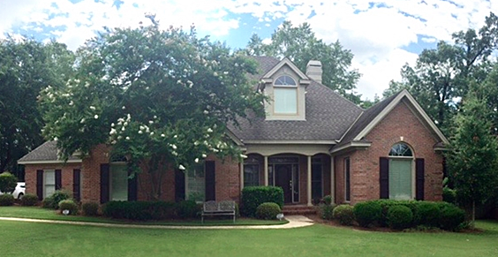 Daydreams of an effortless daily drive can come true from this Prattville address. 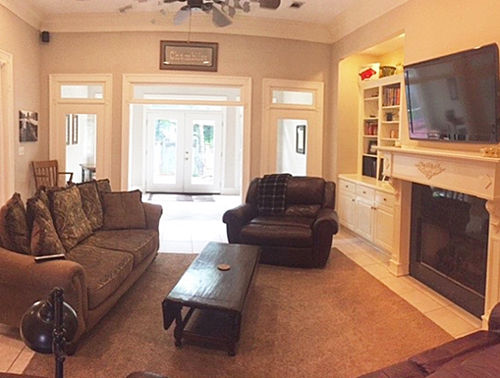 Located around 17 miles from Maxwell Air Force Base Gunter Annex, this dwelling is also convenient to a wide array of shopping and dining and is in the vicinity of the Prattville Capitol Hill golf course. Sprightly sunlight streams through glamorous windows in this palatial property. Travertine tile and maple wood flooring lead you from room to room. With nearly 3,900 square feet of living space, unpacking from your military move will be as easy as a Southern breeze. 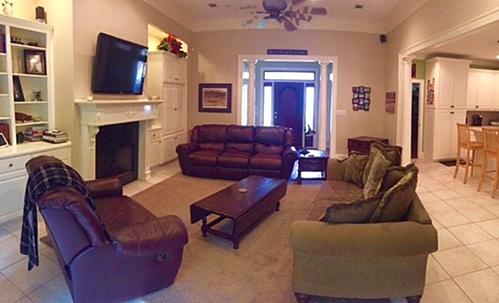 When family and friends travel in, comfortably host your guests in this 5-bedroom, 3½-bath chateau. Serve breakfast at the extended island, lunch at the kitchen table, and dinner in the formal dining room.Those who come to visit in the heart of Dixie will quickly fall in love with your Alabama homestead. If you’ve found a marvelous Montgomery suburb while shopping for a house, feel free to drop a comment here or connect with MilitaryByOwner on social media.